Dr. Christopher Via, Owner of Avesca LLC, is building a business that, among many other things, allows businesses and government entities to validate their ideas through unconventional ways. It's easy for someone to fall in love with their idea and assume that just because they would use their product or service, so would their customers. That type of thinking, without the validation to reinforce it, is reckless and doesn't focus on what's truly best for your customer. Christopher's company reinforces the importance of a "human centered design" approach. "A big reason why I started my own company versus going to work for someone else is because working for someone else wouldn't solve the problem," he said. The problem is that very few companies truly focus on a "human centered design" approach. Christopher explains, "Many products are designed for consumers without reliability, maintainability and how the end consumers will use them. A software engineer might develop a user interface that works conceptually, but the reality may be very different for the user. We recently engaged with a client out of Chicago that developed a modern chair. They wanted an expert to convey how the chair would make customers feel. But what does feel mean and how do you quantify how something makes you feel? We performed user testing which helped to modify the design of the chair and subsequently the marketing and advertising strategies." Before launching Avesca in February of 2017, Christopher spent three years in a teaching capacity at Embry-Riddle Aeronautical University in Daytona Beach. 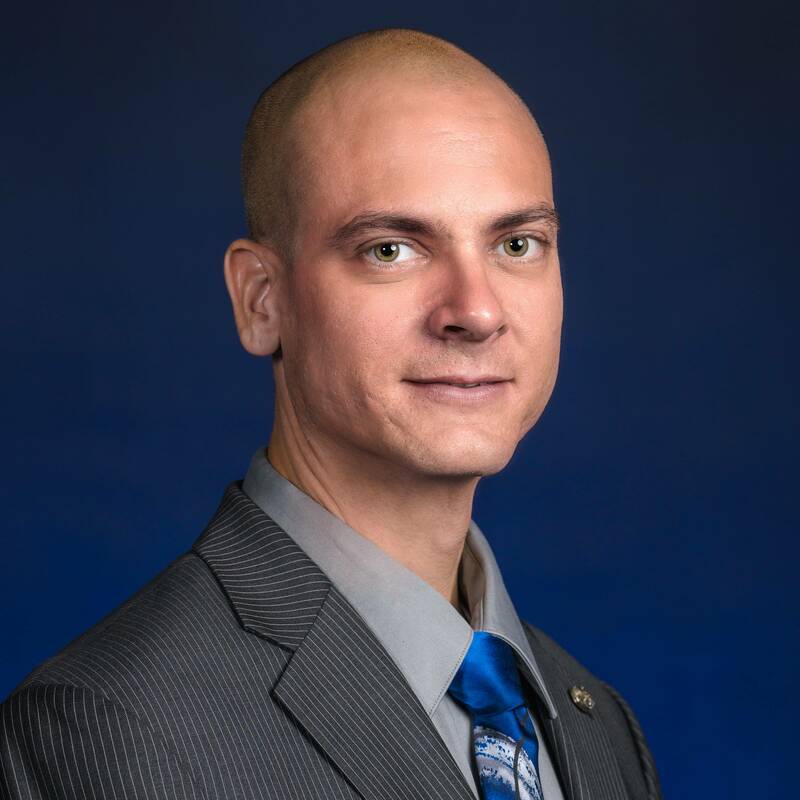 Prior to teaching at ERAU he was a student where he earned an undergraduate degree, a masters degree and a PHD all centered around Human Factors Psychology and Humana Factors and Systems Engineering. Before getting his education, Christopher was an FAA licensed mechanic for an aircraft manufacturer. He also served in the United States Marine Corps. Christopher's educational accomplishments and background experience are certainly impressive, but more so are the limitless possibilities afforded to business owners by his service offerings. Christopher elaborates, "Let's take a simple example of someone creating a new yoga mat. Depending on what stage of development they're in, we would likely start with a questionnaire to see if the product is even practical. This would allow us to determine if it is practical and if so, who is likely to use the mat and what does that customer’s demographics look like. The questionnaire would then go out nation-wide to get a good sample. Assuming the feedback validates the idea, the client would move to manufacturing. From there, we would design the actual user testing to capture even more information and feedback on the performance and perception of the product before production goes full scale." This type of user validation and feedback is priceless for entrepreneurs looking to mitigate some of their risk. This example is a very simple one, but Christopher's services can be extended to a wide range of industries with varying needs. "Our research assists entrepreneurs and startups by providing them with the data necessary to make their products easier to use, more engaging, and better than their competition," he said. "We accomplish our objectives through survey questionnaire design, formal job/task evaluations, ethnography, focus groups, qualitative research, product evaluations, pilot studies and more." Avesca is also a certified government supplier specializing in usability and user experience. This allows them to contract with government agencies to provide similar services. The future of Avesca looks very promising. Christopher has a few team members, but no one locally. He wants to consolidate those resources into one place. He also wants a dedicated place to conduct user testing. Ultimately he wants to employ at least a dozen people and do so in Volusia County. Christopher recommends, for people interested in what he does, a book by Don Norman called The Design of Everyday Things. His advice for aspiring entrepreneurs? "Do it!" Would you like to have insight as to what your customer's (or employee's) thoughts and feelings are about your program, device, or procedures? Avesca, LLC provides affordable survey (questionnaire) design, hosting, and data analysis options. We never charge additional fees per survey completion, and can acquire responses from just about any consumer, anywhere. Shop with us and get 55% off the industry standard on consumer and user experience (UX) development and testing research services. Call (386) 679-7562 or email info@avesca.biz and mention you found this offer on FLVEC.com to get started.